Seneca- Virginia Ruth Carter Bond, 90, widow of the late William “Bill” Houston Bond, passed away, April 8, 2019, at Oconee Memorial Hospital. A native of Oconee County, she was the daughter of the late Clifton T. Carter and Ollie Lee Carter. Ruth was a member of the American Legion Auxiliary and Daughters of the American Revolution. 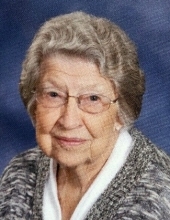 She was a long-term member of Saint Mark United Methodist Church and the United Methodist Women. Survivors include a son, William Michael Bond (Lynnette); daughter, Karen Bond Kapp (Fred); sister, Mabel C. Grant; six grandchildren, Alison Kapp, Laura Kapp Mitchell (Pete), Chip Bond (Kristy), Travis Bond, Whitney Bond and Jarod Moss (Rachel); and one great-grandson, Andrew Mitchell. In addition to her husband and parents, she is preceded in death by her brothers, Crayton F. Carter, Clyde C. Carter, Hugh D. Carter and David C. Carter; sisters, Loma C. Brandt, Elma C. Suttles, Mary C. Dean, and Peggy C. Rollins. A funeral service will be held 11 am, Friday, April 12, 2019 at Saint Mark United Methodist Church in Seneca with burial to follow at Oconee Memorial Park. The family will receive friends 10-11 am prior in the atrium of Saint Mark United Methodist Church. To send flowers or a remembrance gift to the family of Virginia Ruth Bond, please visit our Tribute Store. "Email Address" would like to share the life celebration of Virginia Ruth Bond. Click on the "link" to go to share a favorite memory or leave a condolence message for the family.